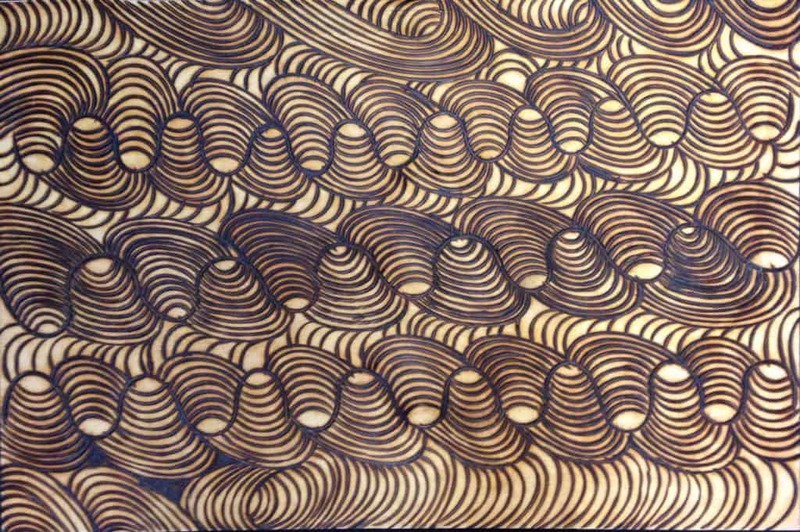 An exhibition from Maruku Arts at Uluru contains striking new works in burnt wood, punu, and “walka” board. 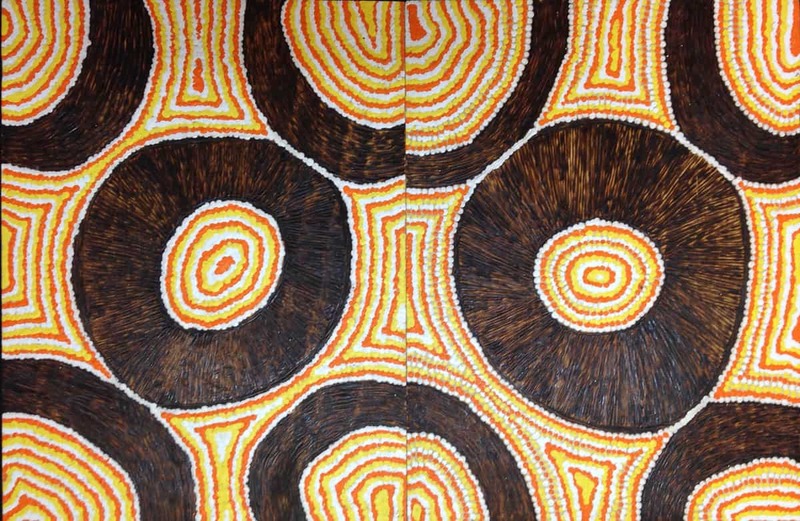 “Walka” is a design that tells of Tjukurpa, the law of Anangu from Australian Central and Western Desert. A new exhibition of works featuring walka board paintings and wood carvings by selected artists represented by Maruku Arts, Uluru NT. This new collaboration between Sturt and Maruku Arts will feature work by senior artists Niningka Lewis, Billy and Lulu Cooley and over 20 other artists including generations of the Cooley family – David Cooley, Sissy Cooley and Janey Cooley. Maruku Arts support over 900 artists from the communities surrounding Uluru. Based in Mutitjulu Community, and in the shadow of Ayers Rock Uluru-Kata Tjuta National Park, Maruku today is one of the largest and most successful Indigenous owned and operated arts organisations. This exhibition is a celebration of punu – objects and paintings that incorporate timber. Niningka Lewis is a skilled punu artist proficient in sculptures, but she is also renowned for her walka boards. These are burnt etchings on board where she adds paint in sections often depicting personal memories from her childhood as well as her first connate experiences. 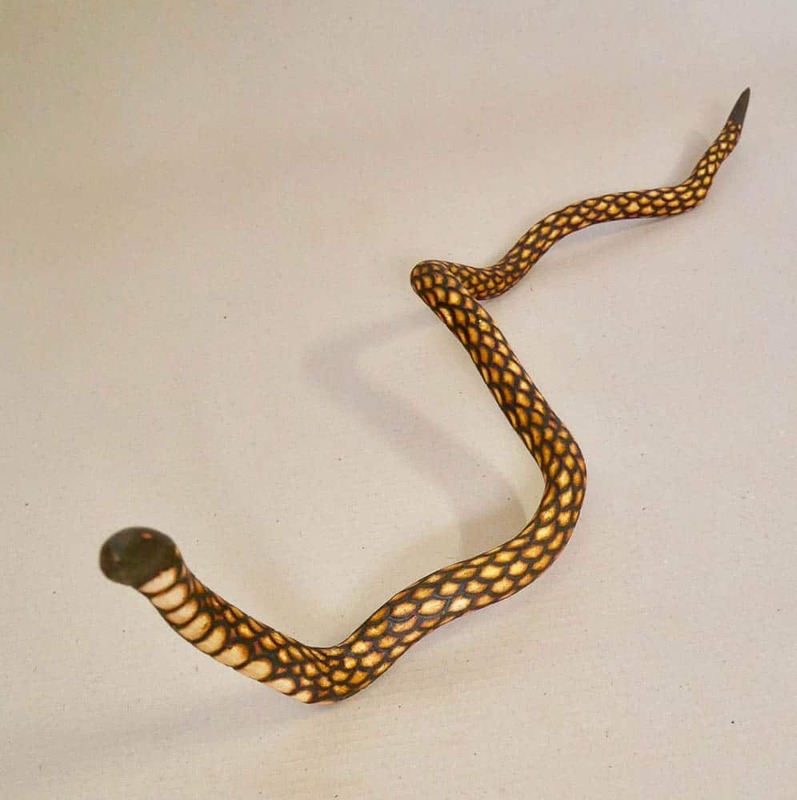 Billy Cooley is a master carver producing intricately carved snakes made from various desert timbers that he sources and shapes to bring to life wanampi water serpents, each one uniquely realistic with distinctive markings that are etched to represent scales and patterns. His work is highly regarded and in many collections around the world. Lulu Cooley is Minyma Ulkumunu, a senior Aboriginal Woman, she is a consummate carver specialising in pita and wira traditional bowls. The pita or wooden bowl is a traditional woman’s carrying vessel for food and water. Lulu’s has developed a distinctive scallop pattern to her creations that has evolved after observation of her mothers work. Billy and Lulu Cooley will be in residency at Sturt for 2 weeks from 8th April and will give a series of free demonstrations and talks during this time. Our name, Maruku, literally means “belonging to black”. This is because Maruku is owned and operated by Anangu (Aboriginal people from the Western and Central Deserts of Australia). For over 30 years Maruku has operated as a not-for-profit art and craft corporation. Our logo is ‘tali’ design. ‘Tali’ means sand dunes. 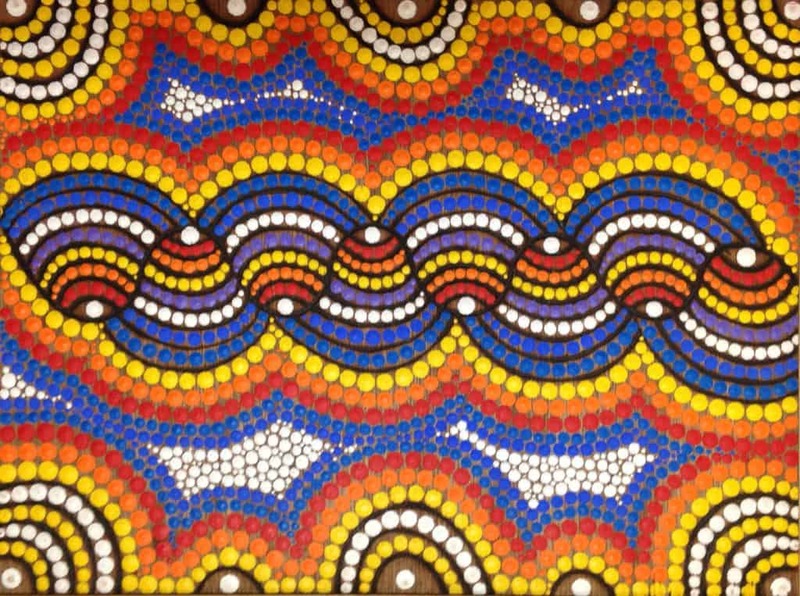 You will see this pattern describing country is significant throughout our artists’ art and woodcarvings. The desert, this sand dune country is what they call home. Approximately 900 Anangu artists make up the collective that is Maruku. Our purpose is to keep culture strong and alive, for future generations of artists and make culture accessible in an authentic way to those that seek a more in-depth understanding. 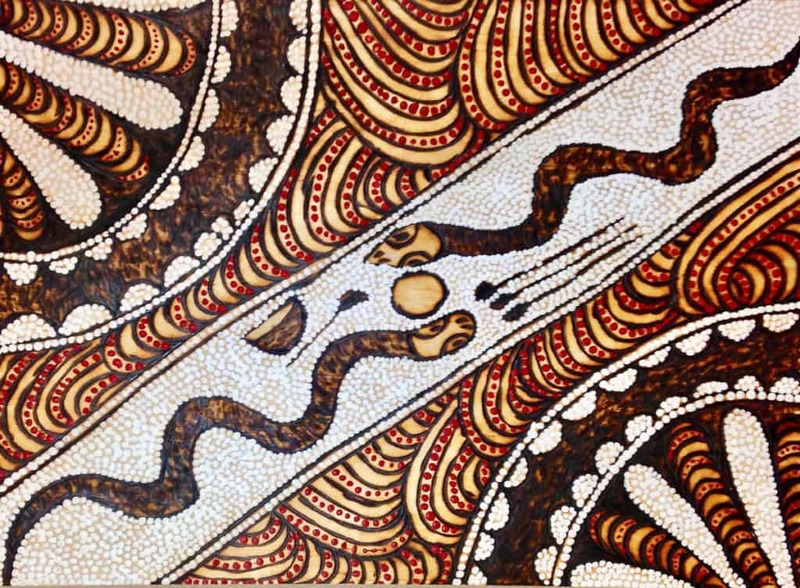 We also provide an important form of income to artists living in remote communities across Anangu lands. Maruku today is one of the largest and most successful indigenous owned and operated organisations. Currently, Maruku comprises of a warehouse based in Mutitjulu community, a retail gallery at Uluru-Kata Tjuta National Park Cultural Centre, as well as a market stall in the town square of Yulara. Our main stocks are paintings and punu (wooden carvings). Additional to the retail arm, Maruku offers tours, workshops, demonstrations, traditional ceremonies and exhibitions. In 1981 one of the first informal tent exhibitions was held at the base of Uluru when artists from Amata packed everything in a convoy of cars and trucks and travelled over to sell their work. Later in the 1980s, a series of traditional shades were built near the site of the current ranger station called Punu Ngura (home or place of wood), closer to the base of Uluru. This became the selling point for artists of that Maruku collective and a place where they could demonstrate the making of punu (wood sculptures) so visitors could learn about Anangu culture. This was Maruku’s beginning. We are proud to say that – still – today, Maruku is conducting regular bush trips to collect punu and bring it back for sale at Uluru. 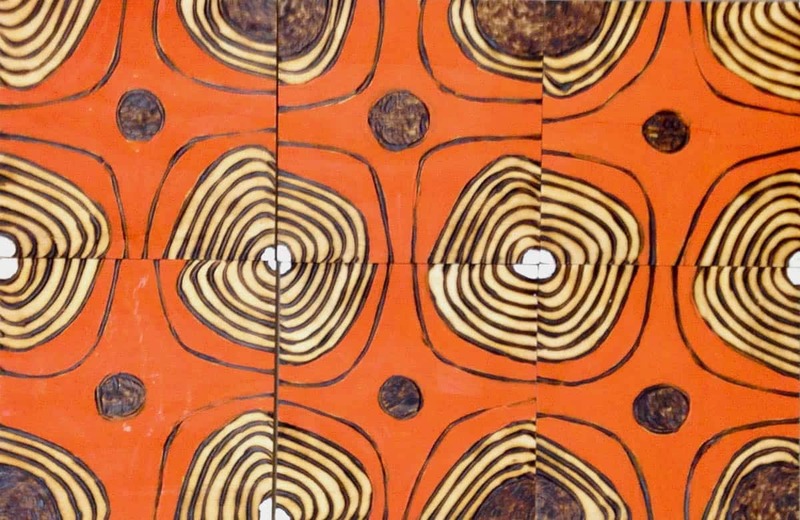 Punu: Living Wood is at Sturt Gallery, Cnr Range Rd and Waverley Pde, Mittagong 2575, 14 April to 2 June 2019.